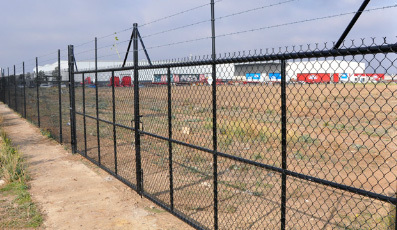 Perhaps you run a large factory in Dandenong and need to make it as secure as possible to protect your assets, in which case you'll need high-quality boundary fencing that won't let you down. Alternatively, you may work with the local government and need a way to keep pedestrians away from infrastructure hazards such as electrical units, which again requires strong fencing that can't be breached. You may just need a way to define your boundaries or mark out a sports ground area, but regardless of why you need fencing, chain mesh is likely your best option. Of course, you might not want to have a chain mesh fence installation for your Dandenong residence, especially if it doesn't work well with your home's existing features. However, when it comes to your place of work, be it a sports ground, school or warehouse, security is the number one property. Even though Dandenong is relatively safe, it's not impervious to crime, and thieves and vandals look for properties that look easy to penetrate. If you call our fence installers in Dandenong, you can feel confident that you're unlikely to be a target. At Guardian Fencing, we use the highest-grade galvanised steel to manufacture our durable chain link fences, and our installers can deal with just about any task regardless of complexity or size. For more than two decades, we've helped business owners, warehouse managers, and many other commercial property owners make their premises more secure, and we can do the same for you. Keep reading below to find out why chain mesh fencing is so versatile and appropriate for a multitude of different purposes. Boundary fencing – If you have a large area to protect as well as lots of valuable assets, you need to ensure your boundaries are defined and as secure as possible. Our border fencing is typically 1800mm high with three layers of barbed wire, though we can customise our products to suit individual requirements whenever necessary. Infrastructure security – If you need to secure valuable and potentially hazardous assets such as AC or electrical units, chain mesh fencing – again – is an ideal solution. Regardless of the dimensions of the infrastructure you need to protect, our installers are perfect for the job. 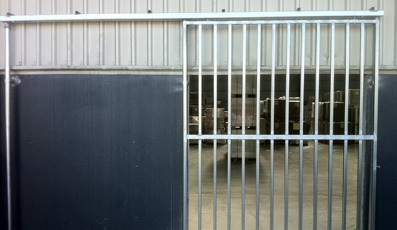 Floor to ceiling – Sometimes, people need fences for their indoors as well as outdoors, and it's common for factory owners to need a way to divide up space inside a warehouse or factory. Fortunately, even though floor to ceiling installations can be complex, we have the required experience to finish the job professionally and efficiently. 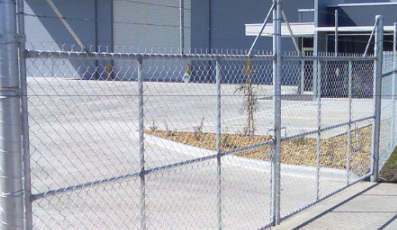 If you need a fence installation in Dandenong for commercial or industrial purposes, there's no better company to contact than us. Our installers are highly skilled and offer an unparalleled level of customer service, so click contact us or call us today on 03 9530 9033 to request a free quote, and we'll have it over to you in under 24 hours.